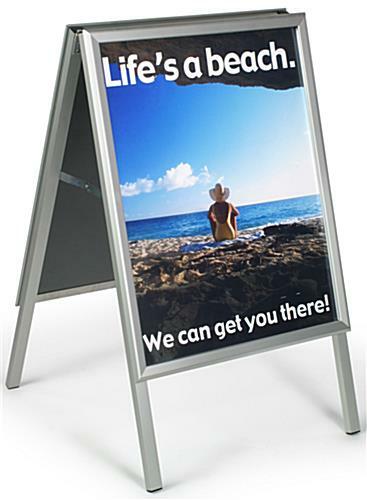 This double-sided sidewalk sign is a portable message board that uses an acrylic insert as a whiteboard on one side and has a 22” x 28” poster display on the other. 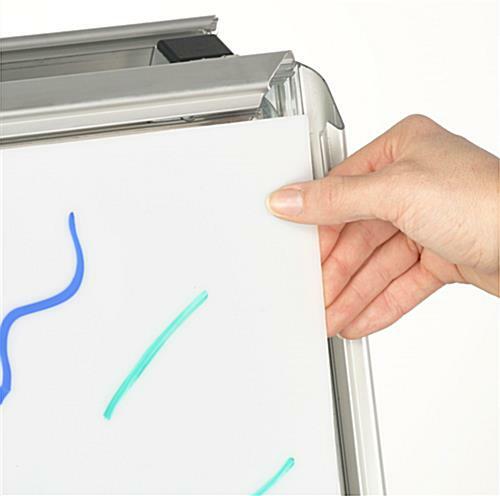 The A-frame is made to be used with wet erase markers only, which are not included with purchase. 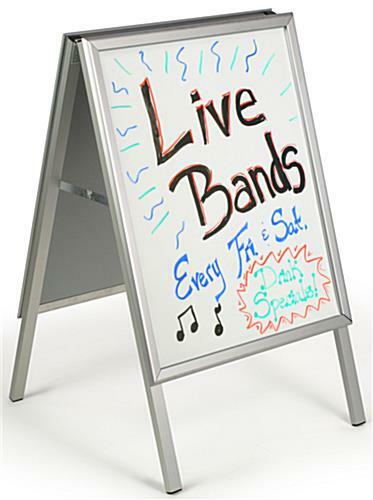 The sidewalk sign for wash away writing is not designed to be left out in inclement weather, but is designed to be placed outdoors. 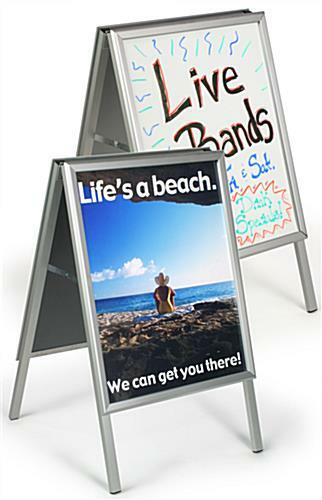 The silver aluminum frame is eye-catching and is easily carried into your business at night. 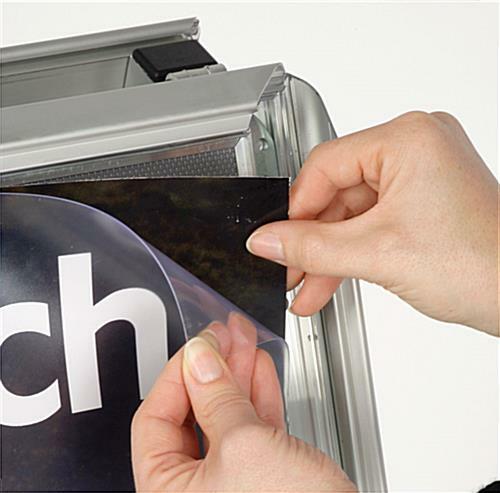 The sign comes with a clear lens to protect images and to help reduce glare for easier viewing of graphics. 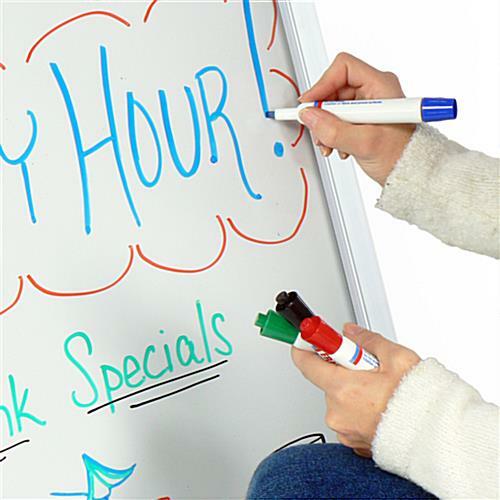 Writing done with wet erase markers will easily wash off in rain or otherwise wet weather, but the writing is vibrant and easily seen on whiteboards. Please Note: Product is not intended for use in harsh weather, including high winds, rainstorms, or snowstorms.